April Update: GenealogyBank Just Added New Content from 71 Titles! Every day, GenealogyBank is working hard to digitize more newspapers and obituaries, expanding our collection to give you the largest newspaper archives for family history research available online. We just completed adding new content from 71 newspaper titles, vastly increasing our content coverage from coast to coast. To see our newspaper archives’ complete title list of more than 9,000 newspapers, click here. 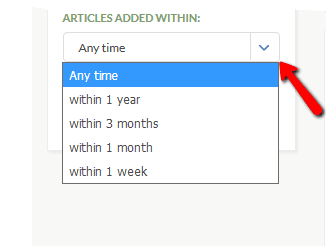 Genealogy Tip: One of the ways to take advantage of the fact that GenealogyBank is always adding new content is to use a feature on the newspapers’ search results page that lets you search just on the content added since a certain time. With this feature, found along the left-hand side of the search results page, you can search only on the newest content – even newspaper articles GenealogyBank added within the past week! GenealogyBank adds new content to its Historical Newspaper Archives constantly, so keep searching. And good luck with your family history research! RootsTech Is Over. Now What?